In the current world, technology plays a very big role. With every new day a new software, gadget or programe is introduced into the market that claims to improve our lives in one way or another.However, it is important to know that despite the fact that technology plays a vital role in making our lives comfortable, it isn’t the only role it has. Technology is growing its role in the education field also. The more technology advances, the more advantages it provides for students at every level. There is a number of very useful software that can be used to help the class curriculum. Students can be provided with quizzes, tests, activities and sample questions that could help the students progress with their learning process when they are not in the classroom. Today, technology is being used to a good number of curriculum even those which do not belong to the technology and computers. Students make good use of computers to come up with presentations and also make good use of the internet to do research on different topics for their projects and papers. Many students do parallel computer classes along with their education nowadays. 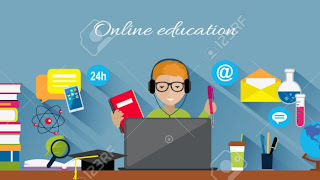 This gives the guarantee that after completing their graduation, the students will not have any problems with using technology when they are out in their workplace or in their own business, which might help to make them more productive compared to a person who has no knowledge to a certain software or technology in school. With the advancement in technology, students are getting more access to these types of educational opportunities. Every time something ‘advanced’ and ‘new’ is introduced into the market, the price of the existing technology goes down that makes it much more affordable in the educational set up even to those schools that might be having a lack of financial resources available to them. Technology has grown to such a point that it can even help kids who are yet to begin their school. There are many educational systems and video games for the small children which help them in getting ready for school and in many conditions also give them a good start on their education. There are a number of people who thinks that technology ‘spoils’ children. For example, they say that instead of sitting down and learning to know how to count, they will use a calculator. In spite of the fact that there are people who are making these types of arguments, the technology still remains to be a very important part of the society we live in today. By introducing it into our schools and classrooms, we will make sure that the students are equipped with much greater tools and knowledge to make their transition from school to the workplace in a very easy one. We need to realize the truth, technology is a reality in the world today and it has become essential in each and every part of our lives and education has without a doubt not been left behind. It is very beneficial in providing more knowledge to all our students and also on making them productive in the job market.